With only 3 weeks until Christmas break, things are going to be super busy for my kiddos. The first week back after Thanksgiving break our kids are going to Hambrick's Tree Farm to pick out their class Christmas tree. Then on December 8th we are going to the Agrirama in Tifton, Georgia, December 9th is Donuts for dad, and December 10th and 11th are parent teacher conferences. The lesson plans include the following types of activities: Morning Message with activity, Large Group Literacy, Phonemic Awareness, Small Group, two planned story times, and a closing activity.The standards are based on Bright From the Start GELDS. Serration Holiday Tree - Students will put green rectangles in order from smallest to largest making a holiday tree. Then students will glue "ornaments" to each level of their tree starting with (1) object for the smallest up to (5) objects for the last level. This is a teacher led group. Since Bright from the Start requires a book and a book related activity to be done in small group, Group 2 will listen and discuss, The Littlest Evergreen before completing their activity. Group 1: Provide 1:1 assistance, a visual model, and add dots for each level of the holiday tree for the students to match. Help the students practice counting with the last number representing cardinality. Group 2: Provide a visual model only. Assist students as needed. Group 3: Verbally give instructions for the students. Move around and assist when needed. Candy Cane Pattern - Students will use red and white craft beads and string on a pipe cleaner in an AB pattern. This is a teacher led group. Holiday Stocking - Students will use sales ads and a die-cut stocking labeled with, I Want ________ in my stocking. They will cut out pictures of what they would like in their stocking. This is an independent group. Santa's Rhyme -Students will match rhyming pairs. This is a teacher led group on Friday. ABC Holiday Matching - Students will match uppercase to lowercase letters. Students will work in cooperative pairs using a file folder game. This is a teacher led group on Friday. Sensory Experience - Students will use playdoh and holiday themed cookie cutters. The students will practice fine motor and cooperation skills as they share and take turns with the materials. This is an independent group on Friday. 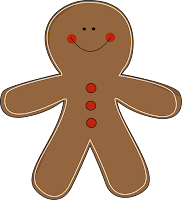 Gingerbread Man - Students will draw a picture of themselves chasing a gingerbread man. Students will complete the sentence: Run, run as fast as you can _______ (fill in with students’ name) can’t catch me, I'm the Gingerbread man. When all three groups have completed their drawings bind them and make a class book to put in the library. This is a teacher led group. Group 1: Students trace their name and/or write their name with teacher assistance providing hand-over-hand. Group 2: Provide name cards for the students to copy their name. Group 3: Students write their name independently. Candy Cane Counting - Students will roll a die and count out the corresponding number of candy canes to put in the stocking. Then they will roll the die second time and place the corresponding number of candy canes in the stocking. Then they will count how many in all.This is a teacher led group. Group 1: Model and assist the students 1:1. Pair the students into heterogeneous groups. Group 2: Model and pair students into heterogeneous groups. Group 3: Pair students into heterogeneous groups. ABC Holiday Matching - Students will match uppercase to lowercase letters. Students will work in cooperative pairs using a file folder game. This is the same game from last week used in an independent group. Group 1: Match upper/uppercase letters. Group 2: Match upper/lowercase letters. Group 3: Match letters to pictures beginning with the same letter. Merry Christmas Splat - Splat felt worried that he had not been good enough to get a big present. Chart the students' responses on ways you can be helpful around your home. This is a teacher led group on Friday. Holiday Word Puzzles - Students will put together holiday word puzzles. This is an independent group on Friday. 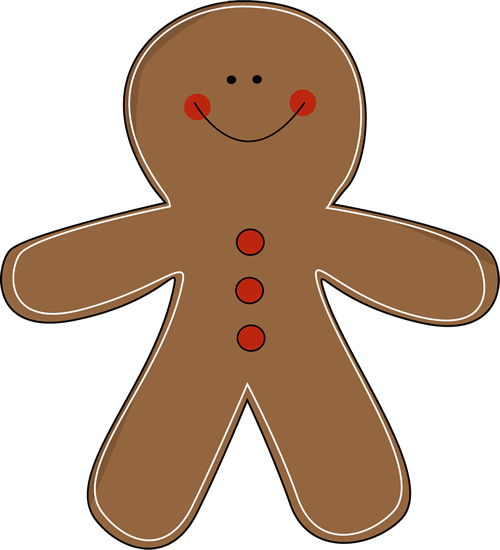 Gingerbread Decoration - Students will use Little Debbie's Gingerbread cookies, white icing, and mini M&Ms to make their own gingerbread boy/girl. This is the only day the students will rotate through small groups in the same day. Save the cookies for the gingerbread hunt during large group literacy time. Once all of the gingerbread men have been made, make an excuse for all of the students to leave the room. Have another teacher hide the gingerbread men. Leave some evidence on the table showing the gingerbread men ran away. NOTE: Before school starts hide the gingerbread hunt cards around the school. I used Katie Mense's Gingerbread School Hunt cards found in her TPT store. I did this last year after studying about the gingerbread man all week on that Friday. Our school staff at Lanier County Primary School was awesome. We even went into the kitchen to see if the gingerbread men were there. The kitchen staff let us look in the ovens and everything. I still have students from last year asking if they are going to go on a gingerbread hunt in kindergarten. Clap the syllables of each word and have the students count the number of claps and then string the beads on the pipe cleaner for each syllable. This is a teacher led group. Hot Chocolate Math - Students will draw a number card and count out the corresponding number of marshmallows and place on their counting mat. Pair students into heterogeneously grouped pairs. This is a teacher led group. Jingle Bell Pattern - Students will use (1) large jingle bell, (2) small jingle bells, and red/green beads to string creating a pattern. This is an independent group. Rudolph Craft - Students will practice fine motor skills, listening, following directions and creativity making a footprint Rudolph. Students will trace their shoe on brown construction paper and cut out. Students then will add (2) eyes, (2) antlers, and (1) small red pompom. Both teacher led groups will do this on Thursday. Group 3 will do this activity as an independent group. Art - Wreath art, candy cane scented paint, and, snowman salt dough keepsake ornament. Writing Center - Students will practice copying Christmas vocabulary words. Library - Students will read and listen to books about Christmas. They can also practice their writing skills by using Magna Doodle Boards. Also, students will practice matching uppercase letter to lowercase letters on a large Christmas tree poster. Math - Students will practice counting out mini candy canes and putting them into mini stockings. Students will sort and match pompoms onto Christmas tree color sorting mats. Students will practice candy cane positional patterns. Science - Students will explore pine boughs, pine cones, and tree trunk cuttings using magnifying glasses. In the sensory box students will scope and make seasonal scenes using cotton balls, green spray painted pine cones, white craft beads, and figurines. Dramatic Play - Students will practice socio-dramatic play by pretending to be Santa's elves. 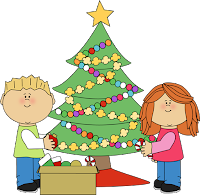 Students can practice fine motor skills by wrapping packages, stuffing stockings, and decorating a small Christmas tree. Students will also practice writing skills by addressing holiday cards that have been laminated. Christmas Vocabulary Word Work - PreK to 2nd Grade Printables! Christmas Literacy Unit - PreK to 2nd Grade Printables! Christmas Math Center Activities - Over 87 Pages for PreK to 2nd Grade! Christmas Wreath Shape Match -- PreK File Folder Game! Christmas Stocking Color Word Matching Game - FREEBIE! I have put together a collection of songs and read a-loud books about Christmas.